Continue living life to its fullest! Enjoy the highest quality assisted living and memory care at Vibrant Life Senior Living. Our communities are close to you, located throughout Michigan and provide the opportunity for you to live an independent lifestyle while receiving any personal care you may need. We offer exceptional service, personalized care plans, and individual living plans. Vibrant Life Senior Living is an opportunity to receive amazing care. Enjoy the benefits you deserve. Take advantage of our focus on personal independence. Experience the enjoyment that comes from continuing to do things that make life interesting and forget about the stress that came from living alone. What does it mean to live a vibrant life? Independence, dignity, engagement, comfort, reduced stress; these are the words people use to describe why they moved here. Living alone or settling for a run of the mill assisted living facility doesn’t seem to tick all the boxes. You deserve the ability to focus on living, with care provided respectfully in the background. We encourage every person who lives here, each resident, to enjoy meaningful relationships and stimulating activities. People remain Vibrant when they love the people they are around and love the things they are doing. Doesn’t that make sense? Safe, comfortable, compassionate and uplifting memory care for mild to severe dementia and Alzheimers is found right here with our deeply knowledgeable CareFriends. Living a vibrant life comes with the balance of quality care programs, including physical, cognitive, and recreational activities, relationship building, and personal care services. Our staff is sensitive to the issues that come with dementia, We have the tools, training, and support you need. We call our staff CareFriends. They are here to support your entire family but become so much more than caregivers. Our staff is specially trained to help each resident build and maintain relationships and to help keep the things they love prominent. Each of our communities offers a variety of amenities with good coffee, big screen TVs and daily activities to keep everyone engaged. Vibrant Life Communities are beautiful and inviting; we encourage family and friends to come to visit. Interested in our personalized plans? Vibrant Life is committed to providing the amazing care you deserve through personalized living and care plans. We understand that each person has individual needs and we use your family history, medical history, interests, and activities to develop the perfect support program for you. 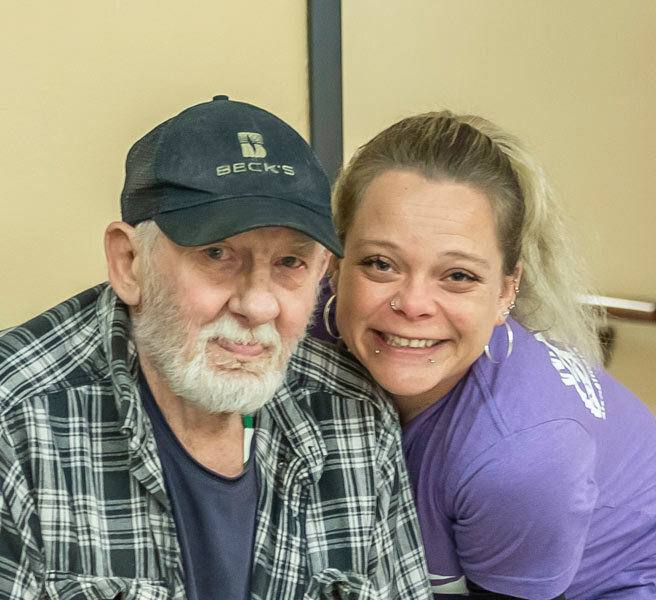 Whether you need a little assistance or complete care, read on to see how Vibrant Life helps residents stay fulfilled and healthy by focusing on relationships, activity, and maintaining independence. Call us at (734) 847-3217, or contact us to gain a deeper understanding of how we provide personalized plans with comprehensive daily care, exercise, nutritious and delicious meals, and stimulating activities that you want to do. Whether you want to schedule a tour or learn more about assisted living or memory care, our staff is happy to answer your questions and show you around our vibrant communities. Contact us today and learn how we can help you live a vibrant life! Which Vibrant Life Community is right for you?